Our range of functional and decorative centre door knobs made by From the Anvil is ideal for any home. Centre door knobs are the perfect solution to pull a door closed in case your front door doesn’t have a door handle or a cylinder pull. We have available a variety of door knobs, including octagonal black centre door knobs, bronze art deco centre door knobs, regency centre door knobs, Prestbury centre door knobs, among others. Additionally, we have a selection of door knockers and door letters which are also an elegant and functional addition to a front door. From the Anvil letter plates are also very practical and ornamental for your entrance door. For example, the brass postal letter plate is a highly stylish, yet functional letter plate which incorporates a door knocker. To draught proof letter plates, we have available a range of letter tidies. Draughts can also pass through the keyhole – to prevent this, we would recommend our keyhole covers. Doors which are opened too quickly or widely often leave marks and scuffs on the wall. 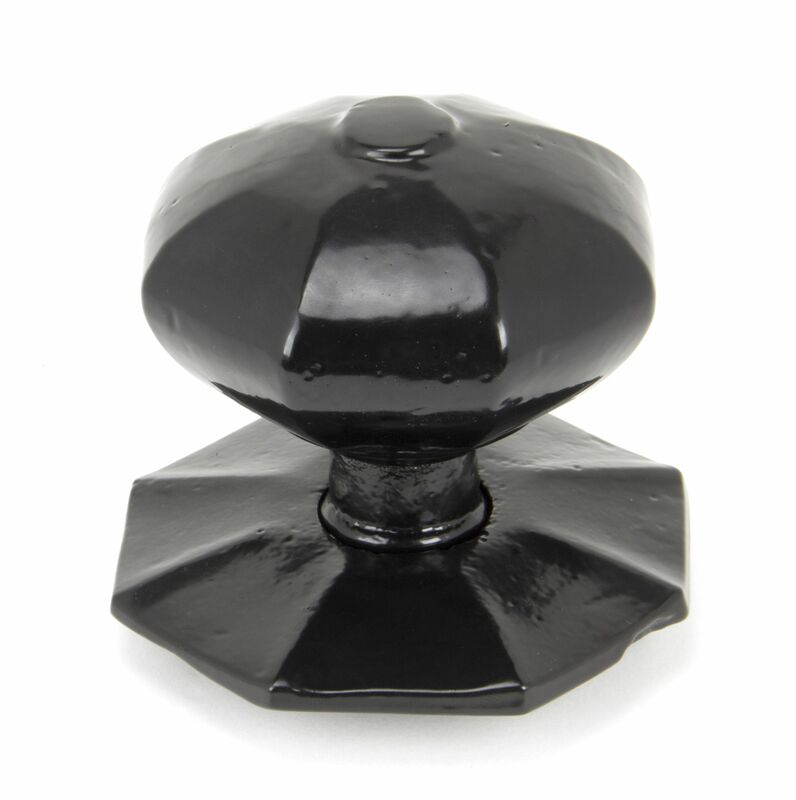 To avoid a dented wall, our door stops and cabin door hooks are the ideal solution. To enhance a house’s security, we would recommend browsing through our range of door chains and door viewers.